Have you picked up your patent? In the Masonic fraternity, we have a lot of degrees. 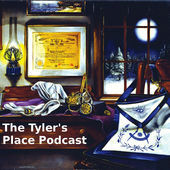 Blue lodge has three, Scottish Rite has 29, and York Rite has 10. Then there groups like AMD who offer “side degrees” to further enhance one’s Masonic experience. Unlike university degrees, Masonic degrees do not certify a particular level of academic achievement. Here is the US, we make our Craft Masons memorize parts of their ceremonies and write a short essay in order to qualify for the next degree. Apart from that, you can receive three dozen degrees without demonstrating that you learned anything at all. 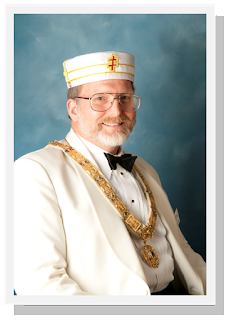 To enhance learning and boost enthusiasm, the Sovereign Grand Inspectors General, also known as the guys who run Scottish Rite, devised an optional study program, called “Master Craftsman.” I signed up, paid for the required study materials, then put it down and never picked it up again. No reflection at all on the Master Craftsman program itself, I merely “ran out of bandwidth,” as the high-tech people say. When you complete your Scottish Rite initiation, that is, when you receive your 32nd Degree, Scottish Rite headquarters in Washington DC prepares and sends a patent for you. The patent is a document that verifies that you received those degrees. It closely resembles a diploma. But it is certainly more attractive than any diploma I ever received from an educational institution. And it is definitely suitable for framing. If you would like to see what a framed patent looks like, peek into our Personal Representative’s office the next time you are at Scottish Rite. He has a whole collection of them on the wall. Patents take a while to prepare, so they may not be ready for distribution at the conclusion of a Scottish Rite Reunion. In case you didn’t remember, a Reunion is the event where Scottish Rite degrees are conferred. 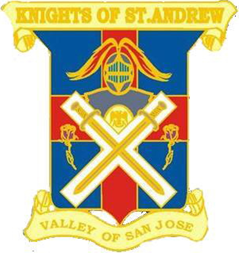 In the Valley of San Jose we hold two Reunions each year. The next one is coming up in April, by the way. Getting back to the patent, it usually arrives at the local Scottish Rite office some time after the Reunion. Our Personal Rep presents the patents to our new members at the Stated Meeting dinners. Bob the photographer stands at the ready to take photos of the moment. Actually, he sits to avoid obstructing people’s view. We have those dinners on the second Tuesday of every month, they are catered, and an enjoyable social occasion, too. You would think that the new members might look forward to receiving their patents. And to participating in the organization they recently joined. Sometimes that happens. More often than not, we rarely see the new members again. And the growing stack of patents, dating back several Reunions, goes largely unclaimed. What’s that all about?